East 55 will offer residents luxurious amenities in a location that can’t be beat. Live at East 55 and be steps away from two of the best destinations Toronto has to offer – the world class St.Lawrence Market and The historic Distillery District. 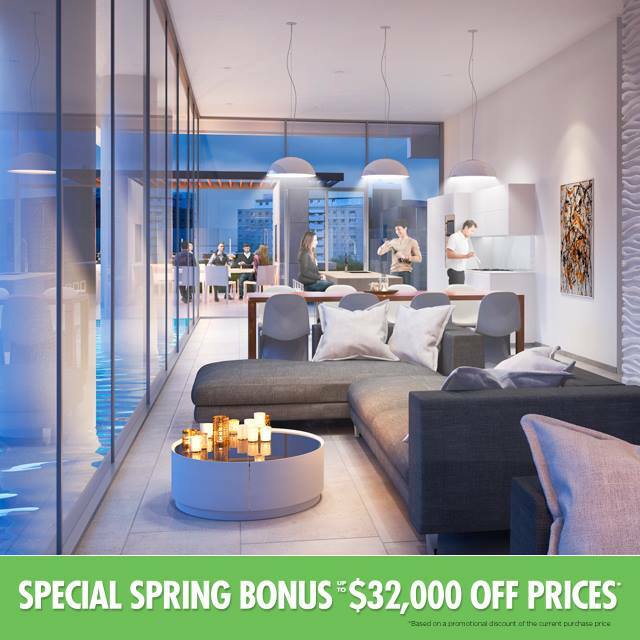 As a follower of mine, I’d like to take this opportunity to inform you first about my Special Spring Bonus – purchase at East 55 and save up to $32,000 Off Prices!